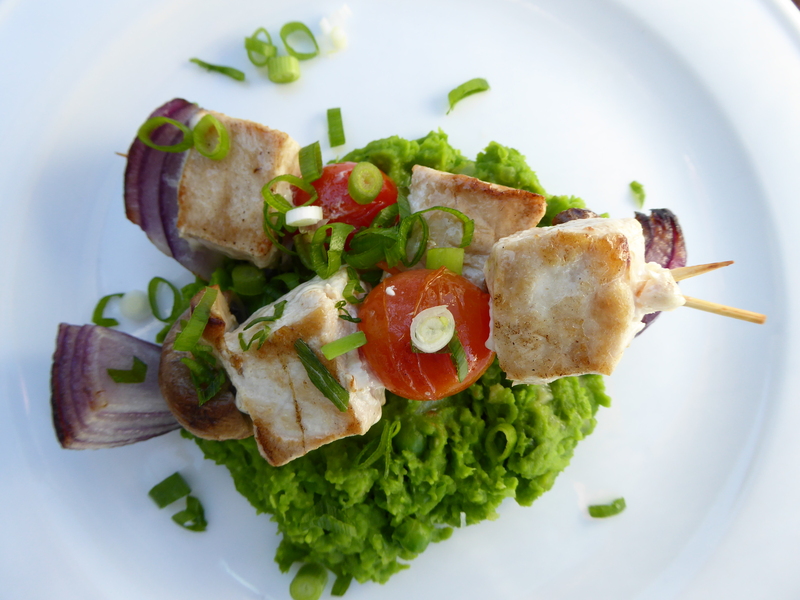 Marlin Skewers on Green Pea Mash | Gourmet from the galley! We just had lunch and I had to share it with you guys. This was just so yummy! I barbequed skewers of marlin, mushroom, cherry tomatoes and red onion. I served these with a green pea mash. Simple…. all I did was sauté a clove of garlic and half an onion with olive oil, then I added frozen peas and a 1/4 cup of chicken stock, cooked it for 5 minutes then pureed it. 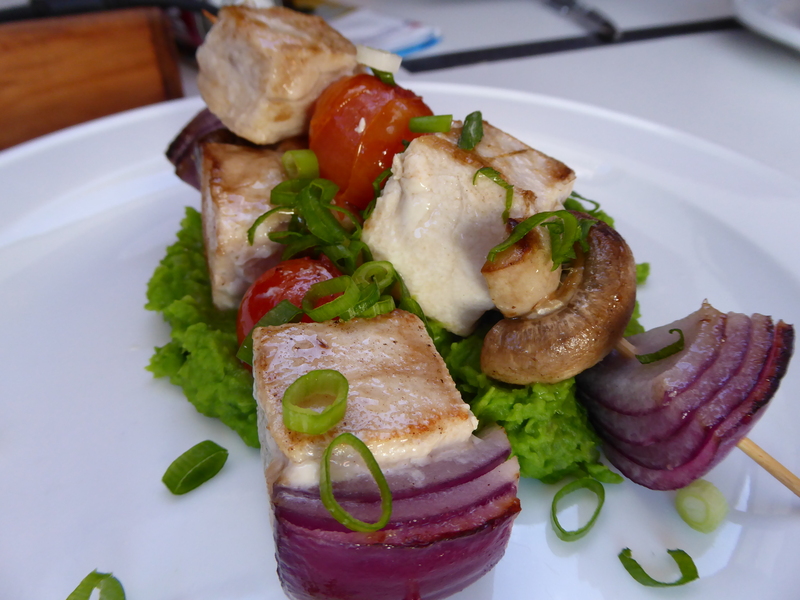 Al la Marlin Skewers on Green Pea Mash. Yum! Hi kelly N Dwaine,I have been looking at your recipes, Yum,you should be producing a sailing recipe book,you are obviously enjoying yourselves,we haven’t spent any time on our boat for what seems ages,it’s just tooooo cccold,go well !! !